As a ten-year-old boy, I used to love to watch MTV. I remember when I first came across Whitney Houston's music watching the video for her hit song "I Wanna Dance with Somebody (Who Loves Me). I remember feeling happy watching her smiling face as she effortlessly sang the catchy tune. That moment was 28 years ago. I never thought at that moment I would one day be sitting in this moment writing about her death specifically because the way she died is tied to the work I do from day-to-day. Working for The Coleman Institute is a very rewarding experience. Seeing people choose to get clean and stay clean from alcohol, opiates, and benzodiazepines (i.e. Xanax, Klonipin) is an awesome thing to watch. Sometimes, unfortunately, some people choose not to get clean and stay clean. This weekend the world has learned that songstress Whitney Houston made that final, unfortunate choice. While I've never treated a "celebrity" where I work, I am close enough to this line of work to feel connected to the passing of Ms. Houston. All sorts of questions ran through my mind when I heard the news: Why? How? Did you not think about your daughter? Did you not care about your incredible voice that brings joy to so many people around the globe? What about your family and close friends who love you and want the best for you? Do you think your choice is selfish and irresponsible? Why didn't you ask for more help? The Drudge Report is reporting, as I write this, that it appears Whitney Houston died from a lethal combination of Xanax, other prescription drugs, and alcohol. It is so sad to hear another human being has succumbed to the disease of addiction. What saddens me the most is that Ms. Houston leaves behind a world, literally, who mourns her passing wishing she was still here so we could hear that wonderful voice just one more time. Personally, as a musician, watching a woman who has sold 200 million records choose such a destructive path is heartbreaking and frustrating all at the same time. But addiction doesn't care who its' victim is from Whitney Houston to the bum in an urban alleyway. Addictions job is to steal, kill, and destroy. At The Coleman Institute, we won't stop fighting because there is too much at stake...too much to lose! You keep fighting too, ok! If you need us, we are here...don't hesitate to call*. 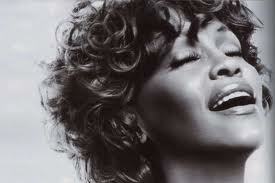 Rest in Peace Whitney Houston...we will always love you!